Ubisoft announced today that Assassin’s Creed III has become the company’s fastest-selling title ever, with over 7 million units sold worldwide (yes these are actual sell-through figures, not just units shipped to stores) during the first month after the game’s release. The publisher did not provide a breakdown of those 7 million copies, so we don’t know exactly how well Assassin’s Creed III is selling across each of its platforms (Xbox 360, PS3, PC, and Wii U) or in which territories those sales are occurring. However, we do know that this is a significant increase over the 2.5 million copies that the original Assassin’s Creed sold during its first month back in 2007. Ubisoft also noted that so far those 7 million players have preformed over 3 billion assassinations over the course of 82 centuries worth of solo missions — which amounts to a tremendous number of virtual Redcoats who have been murdered so far. AC III‘s multiplayer modes have also proven to be quite popular, with over 250 million assassinations taking place in more than 5 billion multiplayer sessions. 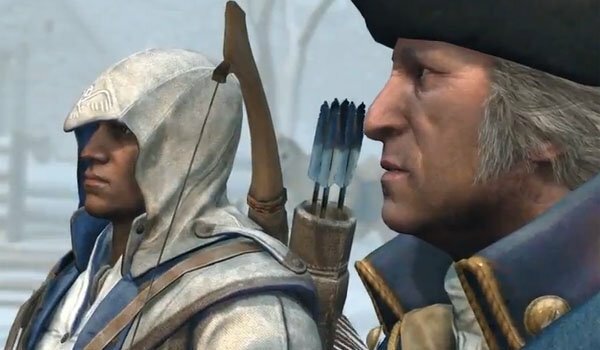 The success of Assassin’s Creed III certainly bodes well for the future of the franchise, which is currently rumored to see the next game set in South America. Ubisoft’s full press release is posted below, and we will let you know as soon as there is any official word on the next game in the series or the exact release dates for AC III‘s upcoming DLC. london, uk — December 12, 2012 —Today, Ubisoft® announced that Assassin’s Creed® 3 is the fastest-selling game in the company’s history, with total sell-through topping the 7 million mark worldwide just one month after its release. Fans have wasted no time exploring the game’s open world, and getting involved in the action-packed story. In solo missions alone, players have accumulated more than 82 centuries of gaming time and committed more than 3 billion assassinations. The deadly action continues in the multiplayer, where more than twice as many players have joined the multiplayer mode compared to Assassin’s Creed® Revelations. To date, more than 250 million assassinations have been performed in more than 5 billion multiplayer sessions. Customers still can benefit from a special offer on the game in the run up to Christmas. A special edition of the game is currently available at Game stores nationwide and includes the game and the additional unlockable content “A Dangerous Secret”.